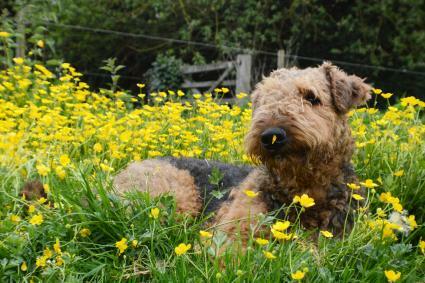 If you enjoy a dog that's fearless, friendly and intelligent, the Airedale Terrier is definitely a breed to consider. These dogs epitomize the outgoing, confident spirit of the terrier group. The Airedale Terrier is the largest breed within the terrier group. They are often called "the King of Terriers" and weigh about 40 to 70 pounds with males larger than females. On average, they live 10 to 13 years. Their bodies are muscular with a tail that stands up almost straight. The long head features a telltale beard and mustache. Airedale's fur is thick, wiry and hard. They are a double-coat breed with a soft undercoat. There are two color combinations: tan and black and tan and grizzle. They don't require a lot of grooming, but their coat should be stripped or trimmed regularly to keep their fur from getting tangled and messy and to remove dead hair. A good thorough brushing once a week is recommended. 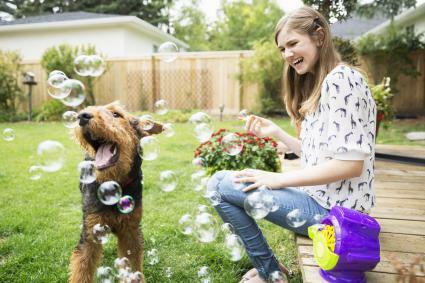 Like all terriers, Airedales are independent dogs that enjoy working and being with people but require training and socialization starting at puppyhood. They can be a challenging dog for the first-time dog owner because of their smart, active minds. They can have a clownish personality and their exuberance can be entertaining, although it may also result in destructive behavior. Airedales can do well with other animals in their home if socialized properly, but they may not do well with other animals outside the household. They are affectionate and loving with their families and make excellent companions. Airedales are a high energy dog that were bred to work. As such, they need a lot of daily exercise and mental stimulation. This makes them a great choice for dog sports enthusiasts who enjoy a smart, active dog that can perform well in a variety of situations. If you're a runner, Airedales make the perfect running companion and will keep up with your pace joyfully. Airedales should also be provided with outlets for their mental needs, such as training, tricks, games and interactive dog toys. Otherwise they can easily become destructive out of boredom. All terriers were bred to "go to ground" and hunt other animals in one way or another and Airedales are no different, having been originally bred by English farmers to hunt rats, foxes and other burrowing small animals. As a result, they have a very strong prey drive and training is required to make sure your Airedale doesn't take off after a squirrel or bunny in your yard. Training should begin as soon as your Airedale puppy is old enough to attend puppy class. 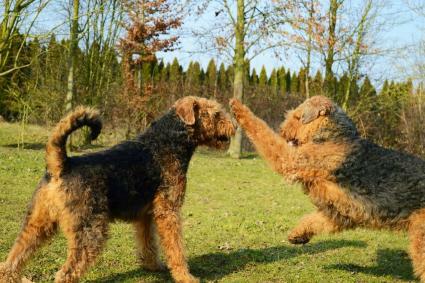 Socialization from a young age is important as adult Airedales can be less friendly around strangers if they have not had much positive experience with many people from an early age. Airedales are extremely versatile dogs who can excel at a variety of training activities. They have been used in the military and police forces in Europe and can be found doing agility, hunting and all number of other popular dog sports. Colonic disease is an inflammation of the colon and large intestines, which can lead to diarrhea, lethargy, poor appetite and associated weight loss. Hip dysplasia is a disorder of the musculoskeletal system causing pain, lameness and even loss of the use of the hind legs. Gastric torsion, also known as bloat, is a condition where a dog's stomach fills with gas and fluid and twists, which can quickly lead to death if not treated immediately. Hypothyroidism tends to affect older dogs and causes symptoms such as lethargy, weight gain and hair loss. If you see a dog that looks like an Airedale but smaller, there are actually a few breeds that look like "miniature" Airedale Terriers. 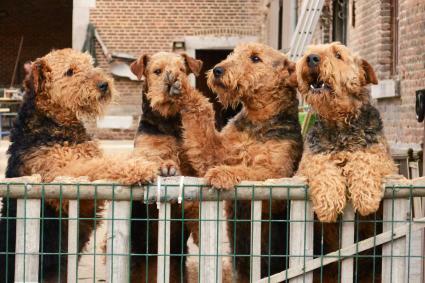 Welsh Terriers are about 18-25 pounds and have the same coloring of an Airedale. Lakeland Terriers weigh around 17 pounds and can come in similar coat colors. Wire Fox Terriers are about 18 pounds and have a similar build and fur to an Airedale, but with different coloring including white. 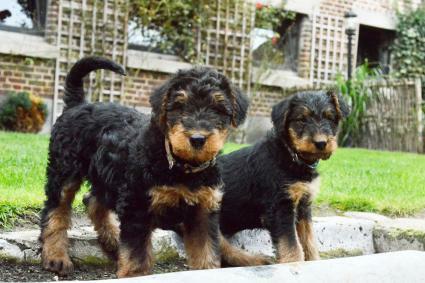 If you want to bring home a purebred Airedale puppy, you can visit the American Kennel Club and the Airedale Terrier Club of America websites to find a breeder near you. To rescue an Airedale, contact National Airedale Rescue, which maintains a regional network of breed rescuers around the country. 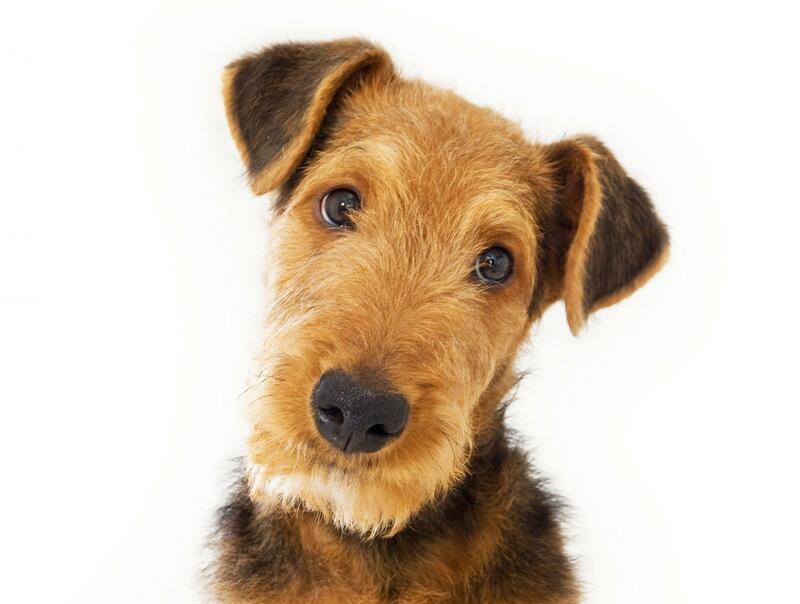 Airedale Terrier Rescue and Adoption serves the U.S. Midwest and Ontario, Canada. You can also do a breed search at Petfinder.com to see if your local shelter or rescue group has one available. Airedales are a bold, smart and enthusiastic dog that does best in a home that will match his physical, mental and training needs. 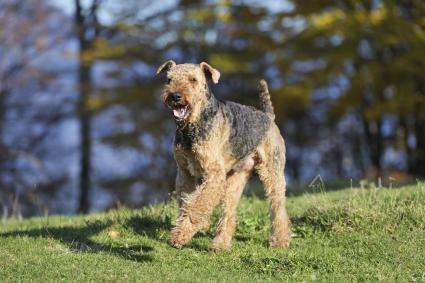 If you are looking for a dog that can do just about any dog sport, loves training and enjoys physical activities like hiking and running, the Airedale is a perfect match.